United States millennials span the ages of 18-35 and are a force to be reckoned with. This generation, also known as Generation Y, has surpassed the baby boomers (1946-1965) and now number 75.4 million. Even with millennial numbers increasing, they don’t have control of the market at this point. Baby boomers still hold the buying power in today’s market; almost 50% of retail sales can be traced back to this group. But, millennials’ spending power will only continue to increase as they begin to earn more. The true difference lies in how these generations communicate with businesses and brands. Generation Y is made up of extremely vocal consumers that are inter-connected and are not afraid to let others know what kind of experience they had at a business. The millennial generation is often described negatively by their predecessors, but millennials are socially conscious and creative individuals that are becoming an increasing power in the market. This group’s craving for their peers’ opinions can often dictate many buying decisions, including where they choose to eat or drink. Learning how to market to this rising group should be a priority for restaurant owners. By understanding the mind of a millennial, restaurateurs can uniquely tailor their marketing communications for this generation. Some call them self-oriented or naive, but millennials are changing best practices of the restaurant industry. Social media is an essential tool for restaurant owners to use when marketing to millennials. Restaurants that don’t use some form of technology platform to reach out and interact with customers seem out of date in today’s constantly changing society. Social media can give your business validity to those searching on the internet. Celebrate what your business has to offer with your social media. Food is a visual commodity. Those who love to eat don’t only want flavorful bites; they want an aesthetically-pleasing experience they can share with others. Tailoring social media to your restaurant, guests, and mission can further brand your restaurant among many. For example, the “food and drink” category on Pinterest is the most pinned and browsed of all the categories and 90% of pinners are saving food and drink recipes on their mobile devices. This is a great indicator that these are items that people have interest in, so cater to it and get guests inspired by your selection. You can promote events, menu additions, and even new staff on social media to give your business a face. Encourage your guests to check-in, tweet, post, and pin about your restaurant. Restaurants and bars that take the time to create quality content in their social media interactions can increase top of mind awareness and brand recognition. According to the State of Inbound Marketing, social media has a 100% higher lead-to-close rate than traditional outbound marketing. Use that to your advantage! Although it is on a larger scale, Chipotle does this very well and it is a brand that millennials want to follow on social media to see what they will post next. Think of your business as a lifestyle brand that you need to promote. Consumers want to learn more about you and your company’s background and be able to relate on a personal level. Whether it’s about the latest rules on food safety or what your lunch specials will be, creative content about your business and its industry makes you an authority on the topic. Millennials appreciate the diverse but relevant subject matter and your business becomes a reliable resource your niche. Millennials are constantly branding themselves. By sharing their organic mango and black bean salad on social media, this generation expresses more than just what they’re having for dinner. When looked at closely, these actions say this consumer supports the story behind their food and that this is the type of restaurant they frequent. Millennials brands themselves to coincide with the identity of the business. They are proud of their decision to eat out, and they want to share their experience with others. Of course, an Instagram feed is often a very skewed perception of reality but still presents a rose-colored lens for the rest of the world to take a peek. Because of this show-all, tell-all way of thinking, millennials are buying experiences at restaurants instead of just food. Restaurants and bars take on a form of escapism where they can get away and have a gastronomic adventure. Going out to eat is seen as an event by millennials, so always try and exceed their expectations with your restaurant practices. For example, Jimmy Buffet’s Margaritaville has risen far above the standards of just being a restaurant chain; it’s now a lifestyle choice. This may seem like an overwhelming feat for a small business but it is possible! Rosarito’s Fish Shack (Williamsburg, New York) does a great job as a single location restaurant that brands themselves as a lifestyle. From its tasty Instagram pictures to the nautical exterior, Rosarito’s Fish Shack transports guests straight to the New England coast for a seaworthy experience. Be proactive with your customer’s experience by training and communicating with your staff appropriately. A restaurant’s staff can make or break whether customers enjoy their stay. Take the time to show them the over-arching goal of the restaurant and your expectations of the team. How you train and communicate with your staff can be the difference between a good and bad experience for your customers. It is these little things that seem insignificant that truly add up in a consumer’s decision to visit a restaurant again. Consumers can evoke change in the way that restaurants do business, especially consumers that are as vocal as the millennial generation. This generation is extremely cause-driven and wants to see their patronage to a restaurant have a deeper meaning. Generation Y customers feel the need for a greater value proposition in purchases; they want to know they are making a difference in the world. As science and communication have improved, sustainable movements have been center on the world’s stage for the lifetime of millennials. Eco-friendly activities strike a chord with this generation quicker than their predecessors. Millennials want the food and restaurant industry to share these same values. To narrow down what works the best for your restaurant, you have to know your situation. What’s best for your theme, customer, and price point could be completely different than the restaurant next door to yours. This being said there are lots of ways to improve sustainable practices in your establishment. Use local meat sources, beef up recycling efforts, take steps to reduce food waste, find ways to reduce energy output, and visit farmer’s markets for produce. Millennials are willing to spend more to support businesses that have these values in mind. Whether this way of thinking is selfish or not, Generation Y makes decisions that will increase self-esteem, which, in this case, works to the benefit of the environment. There are multiple ways for you to get involved in your community while also using it as an edge to market it to millennials. It’s not only social responsible for you to consider local and organic options for your restaurant, it could be lucrative as well. The millennial generation is a melting pot of beliefs and cultural traditions. The widespread effects of social media have made them more aware of the world around them. This drives millennials to search for a greater purpose of community, which restaurants can get in on as well. More and more restaurants and businesses are using cause marketing as a strategy instead of just an added bonus when you buy that certain product. This technique is attractive for both business owners to increase patronage and also millennial consumers that have deep interests in bettering the community around them. Cause marketing can inspire people to eat at your restaurant because you stand for something, especially if it is a cause already near and dear to that particular community. For example, Rosa’s Fresh Pizza in Philadelphia started a movement where for a $1 you can prepay for a pizza slice for a homeless person. Rosa’s has championed single location cause marketing that has reached national recognition, with over 10,000 slices pre-purchased for others. This helped grow and aid the Philadelphia community to be more aware of others. 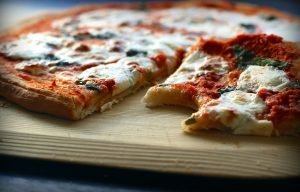 Another example of restaurants doing good (and through pizza) is the mission behind Malawi’s Pizza. This pizzeria’s “Pizza with a Purpose” tagline promotes the restaurant’s buy one, give one strategy. For each meal purchased here, another is given to a child in Malawi. Both of the restaurants are great cases for the success of what combining cause marketing and community can do. Championing a cause is a great way to actively earn free advertising but also allows customers to feel good about eating or drinking at your place of business. Cause marketing campaigns can help your restaurant differentiate from your competition and do good deeds at the same time. As they grow older and acquire more disposable income, millennials are becoming more of an influence in the restaurant industry. Restaurants need to know how to incorporate this demographic when making decisions. The connection that Generation Y feels for the world around them is unique, and it presents a great opportunity for restaurants to appeal to them. As these millennials become bigger consumers, it will be crucial for restaurateurs to craft their businesses to what is important to this generation.